A while back I posted about my new Lollipop invitations for my Candyland collection. 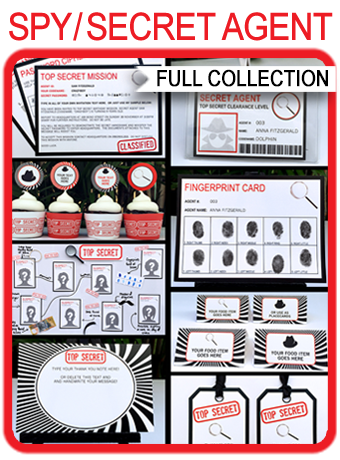 Well, I have finally gotten around to also now including the lollipop invitations in my Sweet Shoppe collection. These 2 collections are now essentially the same – just with different color schemes (the Candyland collection includes pink/purple and this Sweet Shoppe collection includes red/orange and a more masculine font – perfect for a boy!). 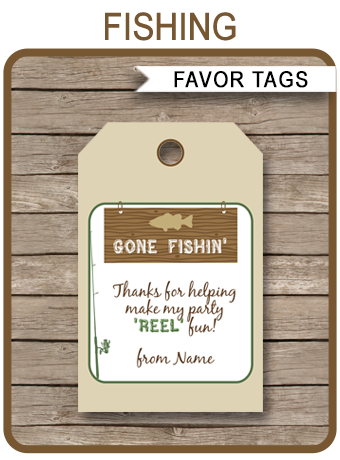 (you can view the video tutorial from my previous post to see how to personalize the invitations if you wish). Large Lollipop Sticks – You will want AT MINIMUM a 4″ long stick. Think about how long you want your lollipop invite to be. If you think the 4″ size is too short, use a 6″ size (you can cut it down if it ends up too long). Lollipop sticks can be found in the cake decorating aisle of craft shops or even places like Walmart, or online at Amazon etc). 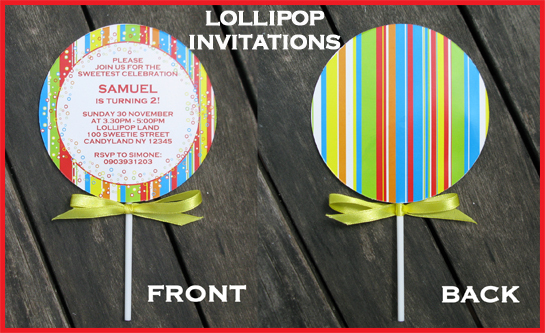 Remember: if you choose a smaller sized lollipop stick, your finished invite might look a bit top heavy. Tape the lollipop stick to the back of the Front Circle almost half way up. Make sure to align the stick with your text! Use a glue stick (or double sided tape) to attach the back circle to the front, keeping the stripy pattern aligned. Tie a thin coordinating ribbon around the top of the lollipop stick. Then, all you need to do is trim the ends of your ribbon and you are done! Instead of printing and attaching the back circles, you could attach a coordinating piece of colored cardstock to the back instead! You would need to have a longer lollipop stick for this though as the invite ends up a larger size (in this image the colored cardstock on the back is 4.5 inches diameter).